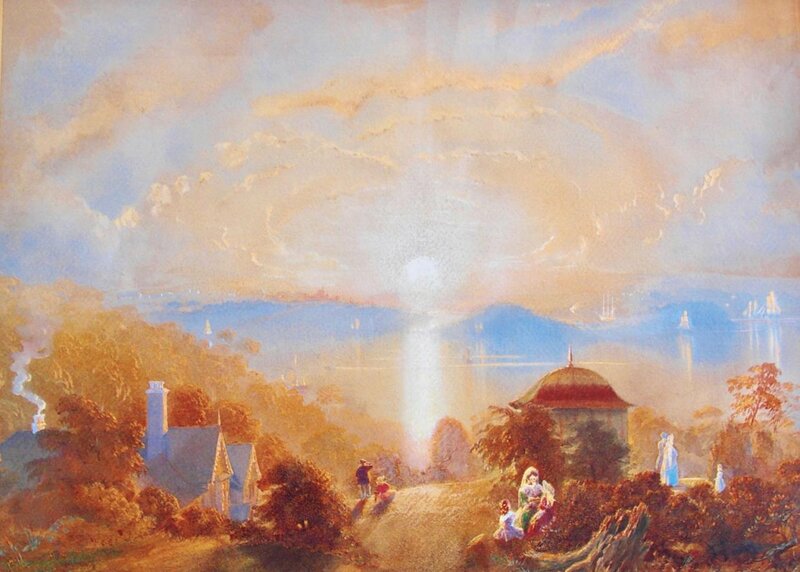 'Sunset, Sydney Harbour' is a fine example of sublime landscape painting in colonial Australia. It is also one of Edward Barkes Boulton’s major works. It was painted from a spot just outside St Mark's church in Darling Point and it’s possible that this inspired the painter to treat the subject with such a sublime, even religious, feeling. A similar (albeit darker) view is illustrated in Edward Baker Boulton - Australia's Forgotten Artist by John H Edwards (page 62). It is titled 'Rushcutters Bay from St Canice, Darling Point c1875'.